Exploit the weak point in the growth cycle of the target species. If necessary, manipulate the growth of the plant to use up its reserves of energy, while timing control to protect adjacent vegetation. Herbaceous Plants: No persistent woody stem, leaves and stems die back at the end of the growing season. Herbaceous plants are commonly grouped into grasses (and grass-like plants: sedges & rushes) and forbs (flowering plants that are not grass-like in appearance). Some herbaceous perennials have stout stalks that persist through the winter (Japanese knotweed). A close look in spring reveals new growth emerging from the roots, not the shoots. The growth of herbaceous plants can be partially controlled using mechanical methods such as pulling, cutting, or mowing. Selective treatment with herbicide is usually effective using foliar spray when the plants are actively growing. It is less effective when plants are under stress from drought, or covered in dust or silt. Proper timing of herbaceous plant control is critical. Plants should be treated with herbicide when they are actively growing so that systemic herbicides can be transported to the sites within the plant where the herbicide becomes active. Mowing or cutting is best done when the plant is flowering, but before the seed has developed. Woody Plants: These plants have a thick woody stem and roots. Leaves may be evergreen or deciduous. 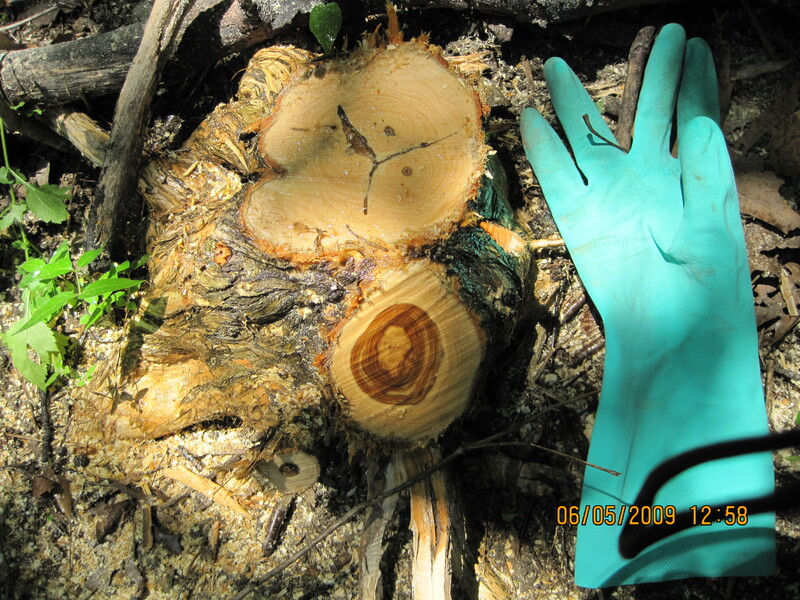 Many species will resprout from the roots or the stem if the main trunk(s) are cut or damaged. Some woody plants are very low-growing, forming groundcovers instead of growing tall (vinca). Woody perennials (some vines, and all trees and shrubs) have a longer window for effective control than herbs. Herbicide treatments range from foliar spray, cut-stump, and basal-bark treatment. The choice of control method varies depending on site requirements and conditions. 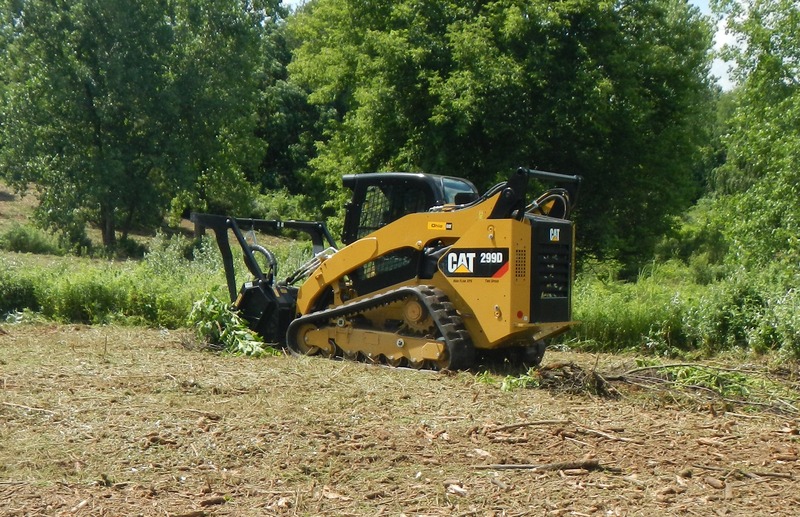 Removal of woody plants ranges from simple (if laborious) uprooting, to cutting with hand tools, to more complex use of chain saws and forestry brush cutters, all the way to using large equipment like track loaders with cutting attachments. Some shrubs can be removed using pruning saws or loppers. Others need mechanized tools. Compact track loader using a mulching head attachment on invasive shrubs. Vines: Plants using long climbing stems to reach sunlight without investing energy in structural support. Vines can be herbaceous or woody, attaching by rootlets, suction-like cups, or by twining as they grow. Some species are perennial woodies, some are perennial herbs, and some are annuals. 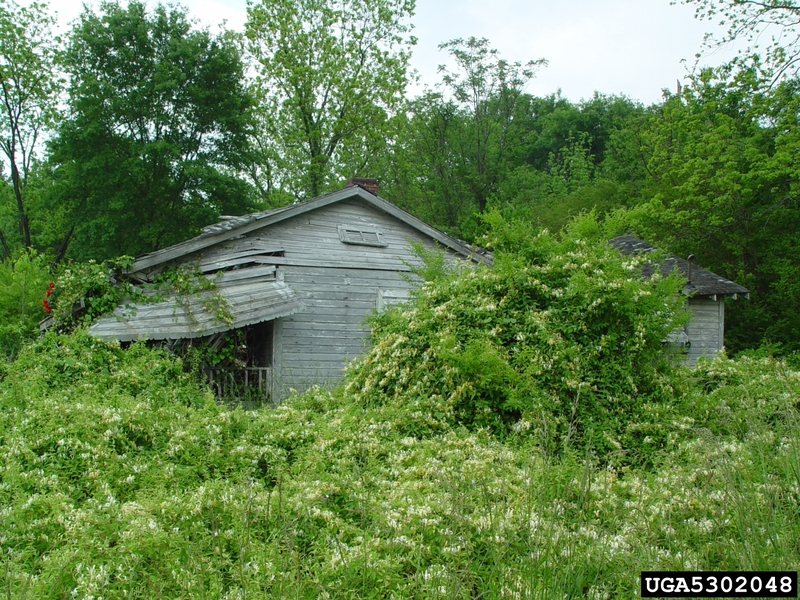 Vines might sprawl across the ground in patches before climbing nearby vegetation. Japanese honeysuckle climbing over and beyond vegetation and buildings. Manual removal or cut-stump treatments are less effective against these plants. Removal of vines from the native plants they are engulfing should be done with care. 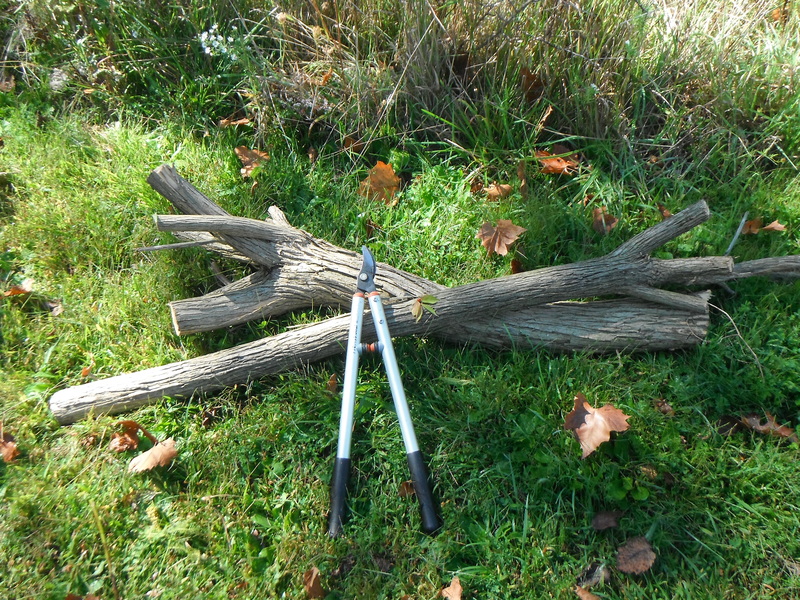 Pulling vines off a tree often causes more harm than good. A better strategy is to cut off the vines a couple of meters off the ground all the way around the tree, then cut the vines at ground level. The stumps can be treated right away, or you can wait until the roots have produced vigorous new growth, then use foliar treatments on the new shoots.